We’re on Facebook, LinkedIn, and Twitter! Give us a follow or a like, a DM or @. Also note that our NEW IMPROVED (and easier to remember!) 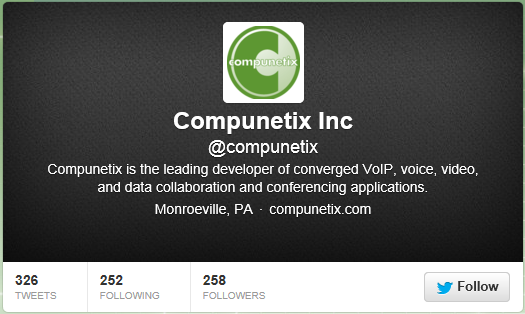 Twitter name is @Compunetix … we’ll no longer be tweeting under the name @CompunetixAudio. But don’t worry, we’ve kept all of our followers and followees. Thanks for keeping in touch!